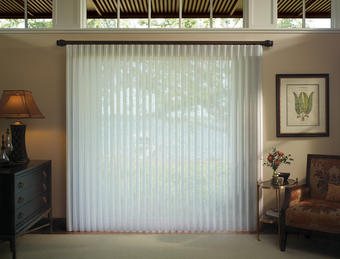 Our clients throughout the West Palm Beach area are frequently looking for stylish yet functional options to cover their sliding glass doors. 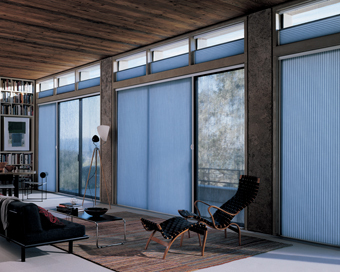 Major concerns are light control, privacy, and of course, interior design style. 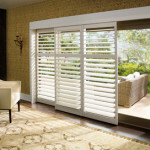 For years, there weren’t many choices for sliding glass doors. 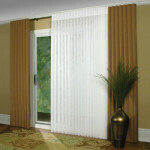 People typically had to choose between clumsy vertical blinds or a custom drapery option. 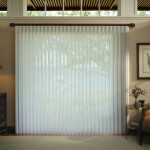 Luminette® Privacy Sheers: Add Sheer elegance to any room. 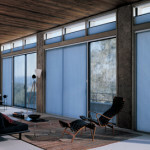 Soft face fabric is permanently bonded to fabric vanes diffuses the sunlight and allows you full view through or room- darkening. 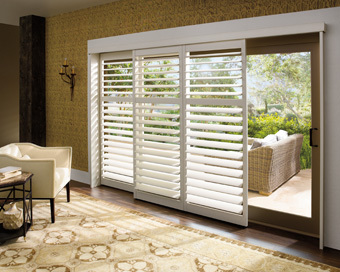 Shutters: Get the classic look of shutters with the use of a by-pass track system, allowing the panels to slide past each other. 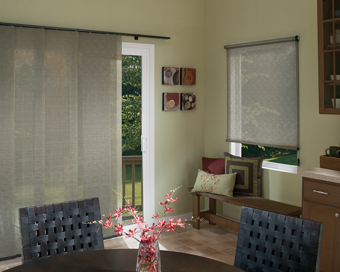 Luminette® Modern Draperies: Create a look of sophistication. Consistent contoured columns of fabric gracefully span the door opening with either traditional™ or Ribbon™ Panel design options. Duette Vertiglide® Honeycomb Shade: Take the energy efficiency and ease of operation of a honeycomb shade and turn it vertically. 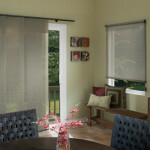 Available in sheer, semi-sheer, semi-opaque, opaque and blackout fabrics. Skyline Window Panels: A very unique window coverings, window panels combine traditional and non-traditional decorating elements with a look inspired by European designs.